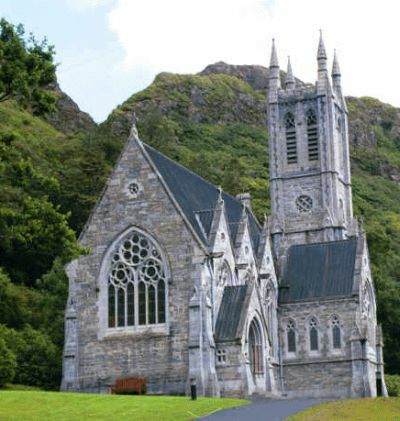 Gothic Architecture greatly emphasized on the construction of several Gothic Churches in Europe. The arches appeared in 2nd millenium BC in Mesopotamian Brick Architecture. Later on, the sophisticated and systematic use of arches to span huge structures was started by Romans. The ancient Romans learned the arch from the Etruscans, refined it and were the first builders to tap its full potential for above ground buildings. The Romans were the first builders in Europe, perhaps the first in the world, fully to appreciate the advantages of the arch, the vault and the dome. The main feature of Gothic Architecture is a vaulting framework of intersecting, pointed arch ribs, which support thin stone panels. The ribs were constructed as the permanent ‘formwork’ and the space between them was filled with a pointed arch. The Gothic pointed arch was derived from the Islamic Pointed Arch of Moorish Spain. 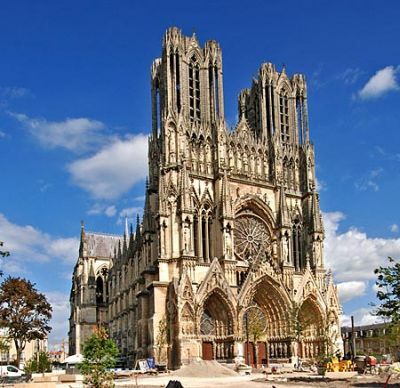 Reims Cathedral is the best example where the use of pointed arches is very prominent. Vaulting system was adopted as structural elements. 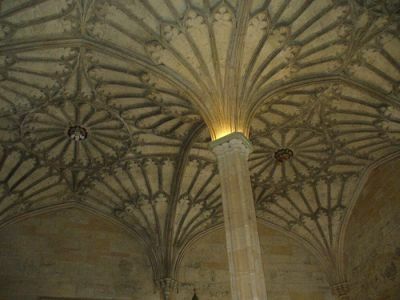 Since, they did not use beams as structural elements, they discovered vaulting system that acted as ornaments and served the purpose of giving structural strength to the structure. The interior of Gothic cathedral gives a feeling of spaciousness and great height. One can appreciate the piers blossoming out into a fan-like vault. 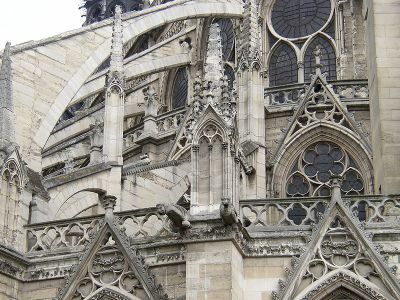 Flying Buttress was another principle element that developed in the Gothic Period. A flying buttress is a free-standing buttress attached to the main structure by an arch or a half-arch. Flying Buttresses were used as structural elements. The evolution of exterior is an outcome of interior, and also the method of construction. In vaulting system used, the pressure due to the vault and the arch was transferred to the ground by buttresses which were called Flying Buttresses, thrusted on top by a pinnacle. Notre Dame, Paris is an excellent example of Gothic Architecture. Gothic Architecture was an intricate system of construction, which was practiced by generations of experts consisting of masons, artists and supervisors, who were both engineers and architects. They were the “Master Builders”. the website is xcellent and has a xcellent data base for knowledge seekers, and also pictures accompanied with ur explanation. Great site, I love gothic architecture, especially the churches. Thanks for sharing. I love Gothic architecture specially churches like the church in England and in Vatican.Thank you so much for sharing.